Paul Sayers’ unique relationship with his guardian angel, Rebecca, continues under difficult circumstances. After discovering that she’s pregnant, Rebecca returns to the Guardian realm and is summarily banished for breaking Guardian law. 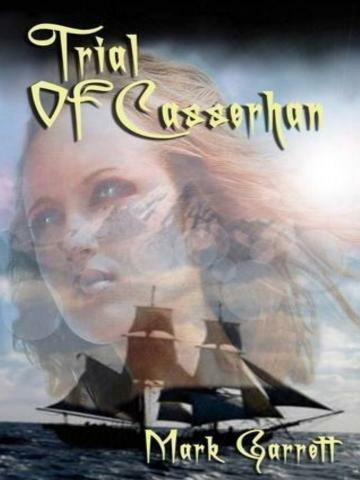 She finds herself, without her Guardian skills, in the realm of lost souls, Casserhan, and with no chance of return. Casserhan is a mortal world, inhabited by various races from many different mortal worlds and is a dangerous place for her. Initially safe with the Calder Monks in their abbey, her position becomes perilous. The feared and ruthless Slavers have been paid by the mysterious Lady Melin to find and deliver Rebecca to Ice City. As her journey across Casserhan on board the Slavers’ airship unfolds, she can see no hope for herself or her unborn daughter. Paul, aware of her pregnant state, learns of her fate and manages to reach the Guardian realm by the most unusual of methods. Despite the circumstances, they allow him to follow Rebecca to make sure she and the child remain safe. Paul discovers a chance of returning and embarks on an incident-packed pursuit across Casserhan to reach Ice City before the Slavers.